The Dunkirk Area Concerned Citizens Association (DACCA) provides a voice for citizens of Dunkirk and takes an active interest in the welfare of our community, while promoting controlled growth and the principles of good citizenship. 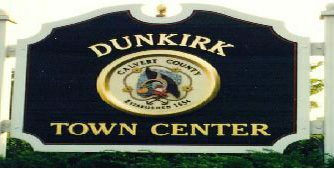 DACCA asks all citizens of the greater Dunkirk area to support our mission to improve the quality of life in Dunkirk by representing our interests with elected officials, community issues, and good citizenship overall. Please join our efforts by becoming a member. Crime Reports, contact information for our elected representatives, how to contact local newspapers, and more. We invite you to stay active and connected to our Dunkirk Community. Below are the complete questions that were asked of the BOCC candidates at the DACCA forum. Next DACCA General Membership Meeting is scheduled for November 13th at 7pm at the DVFD. 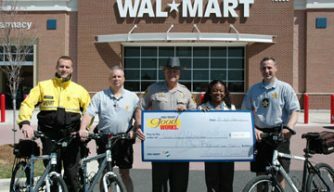 10 a.m.-3 p.m., Walmart Prince Frederick, Md. In the last several months, the County Commissioners received overwhelming numbers of public comments on the draft Calvert County Comprehensive Plan about the frustrating amounts of traffic congestion. There’s clearly increasing citizen demand for a County-wide traffic study to make sure that future growth and development decisions are made in a way that does not make rush hour traffic congestion unbearable and driving conditions along Route 2/4 and elsewhere even more dangerous. To their credit, the Planning Commission heard citizen concerns and recommended that the County Commissioners conduct a traffic study. Despite all this, Commissioners Hejl, Hart and Slaughenhaupt remain skeptical that such a study is needed. The facts say otherwise. The last traffic study was done in 2011 and updated in 2013, and looked only at Prince Frederick, not county-wide. It showed that, during the peak PM rush hour, fully six major Prince Frederick intersections were operating at levels of congestion the State deemed “unacceptable:” MD 2/4 at MD 402, MD 765A at Commerce Lane, MD 765A at Armory Road, MD 765 A at Church Street, MD 2/4 at MD 765, and Prince Fredrick Boulevard at MD 231. This analysis was based on 2010 traffic volumes (somewhat lower than today). Now add in that future traffic volumes will increase still further over today’s levels, as Calvert residential and commercial growth finally starts recovering from the effects of the great recession. For example, four major Prince Frederick residential developments are already in the pipeline: Calvert Hills East (96 apartments), Chaplin South/Beechtree (260 apartments), Oakland Hall Phase 3 (31 houses) and the first section of Armory Square (250 townhouses). That’s 637 new residences, or, conservatively assuming 1.5 vehicles per residence commute to work, 955 more vehicles added to Prince Frederick AM and PM rush hours. In addition, some proportion of these vehicles will commute north on 2/4, adding to congestion at Dunkirk, some will commute south into St Mary’s, further aggravating the Thomas Johnson Bridge backup, and some will commute to Charles, adding to the MD231 headache. Now factor in that the current draft Comprehensive Plan includes large expansions of the town centers, and envisions rezoning much of the added land to densities as high as 24 residences per acre. Right now, unless a County-wide traffic study is done, there’s no way to calculate the impact of future rezoning and development decisions on traffic conditions and determine how many more intersections will fail. All we have are coarse State estimates that, if projected growth continues, traffic volume along Rt 2/4 will increase from over 50,000 vehicles per day to 83,500 by 2030. Does anyone seriously think Rt 2/4 can efficiently and safely handle such an increase? To preserve our current quality of life, it’s imperative that the County Commissioners include traffic study funding in the FY19 budget that will be submitted this Spring. We must have study results before finalizing growth and rezoning guidance in the new Comprehensive Plan, if that plan is to be at all a responsible document. Please press Commissioner Hejl, Hart and Slaughenhaupt to fund this study. New sign regulations despite our best efforts to fight them. 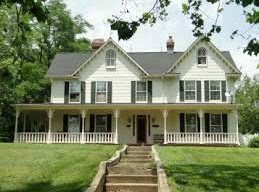 The Calvert County Board of County Commissioners adopted new sign regulations on Jan. 31, 2018, to Section 6-8 of the Calvert County Zoning Ordinance. • Content neutrality to comply with the U.S. Supreme Court’s Reed v. Town of Gilbert case opinion. • Located in one document instead of multiple documents. • Sign dimensions, sign types and sign location now appears in charts for easier reference. • Maximum sign areas and sign heights for freestanding signs both in and out of the town centers appear in charts for ease of use. • All permanent sign regulations are consolidated in one section and all temporary sign regulations are consolidated in another for ease of use. • A temporary sign is now defined by construction and material make-up of the sign, not a time limit. Temporary sign categories now include air-activated, balloon, flags, banners, blades and yard signs. • The regulations allow electronic message center signs in the Prince Frederick Town Center and Employment Center zoning districts along MD Route 2/4, West Dares Beach Road and MD Route 231 west of MD Route 2/4. The county’s code enforcement staff will begin enforcing these new regulations by assisting business owners through the transition. Staff will provide businesses that are out of compliance with a zoning inspection report including a correction date (30 days from date of issuance) along with an online link to the new regulations. Annual dues are just $10 per family.